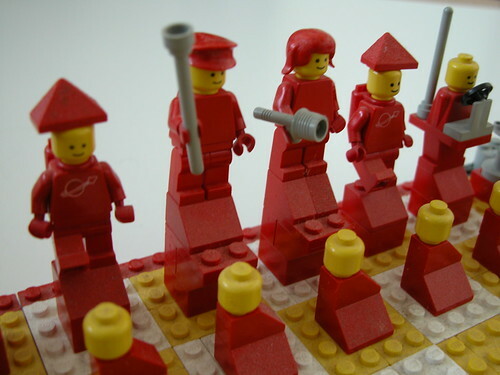 Building a LEGO Chess Set isn't difficult, per se, but having enough pieces to make 8 identical pawns (of each colour), and to make them stylistically sympathetic, is a task. This is my effort from 2008. There are more images on Brickshelf.